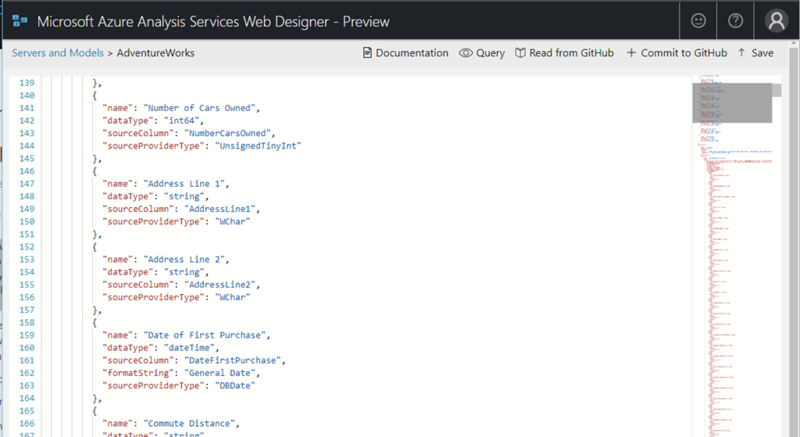 Last month we released a preview of the Azure Analysis Services web designer. This new browser-based experience will allow developers to start creating and managing Azure Analysis Services (AAS) semantic models quickly and easily. 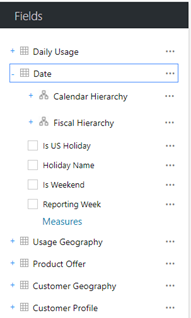 While SQL Server Data Tools (SSDT) and SQL Server Management Studio (SSMS) are still the primary tools for development, this new experience is intended to make simple changes fast and easy. 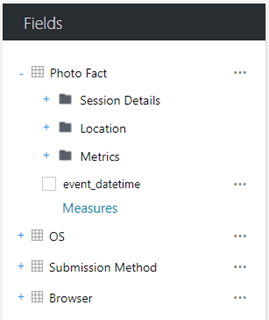 It is great for getting started on a new model or to do things such as adding a new measure to a development or production AAS model. Adding measures is a bit simpler with the use of a multiline code editor which recognizes DAX formula syntax. The model JSON editor now includes a mini document map on the right hand side to make browsing the JSON document simpler. 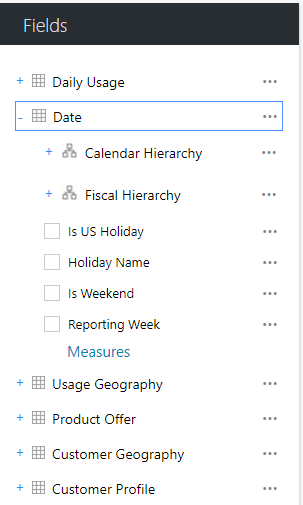 You can now use hierarchies and display folders when graphically designing queries. Create new relationships or edit existing ones between table with the new relationship editor dialog. When needing to connect to your server from other tools such as SSMS or SSDT, you can now simply copy your full server name from the server blade.